French President Emmanuel Macron has used his rare speech to the joint houses of the US Congress to denounce nationalism and isolationism. US leader Donald Trump has been accused of stoking nationalism and promoting isolationism with his policies. But Mr Macron said that the US had invented multilateralism and now needed to reinvent it to create a new 21st Century world order. He hailed the “unbreakable bonds” of the US and France, forged in “liberty, tolerance and equal rights”. 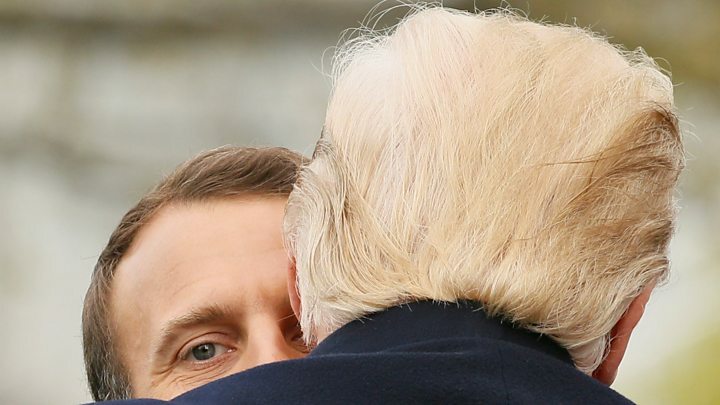 Mr Macron has developed a strong relationship with President Trump, and is in Washington as the first foreign leader to be afforded a US state visit by the Trump White House. But the French president’s comments showed that the pair do not agree on all subjects. Mr Macron said isolationism, withdrawal and nationalism “could be tempting” as a “temporary answer” but they “would not douse, only inflame, the fears of our citizens”.